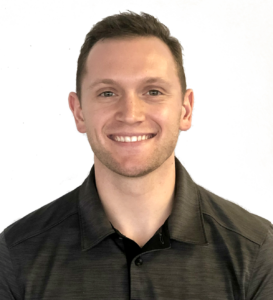 Dr. Kevin Sunyak is a licensed chiropractor with physical therapy privileges in the state of Maryland. A New Jersey native, Dr. Sunyak graduated from The Pennsylvania State University with a bachelor’s degree in Kinesiology. He went on to earn his doctorate from Palmer College of Chiropractic where he graduated with honors. Dr. Sunyak became interested in chiropractic through his personal experiences in healthcare and rehabilitation growing up and playing sports. He has a passion for helping all patients achieve their optimal function. By creating individualized treatment plans that address your goals, Dr. Sunyak can help you live a happier, healthier life. Dr. Sunyak is a firm believer in exercise is medicine and he takes a functional approach to treatment. He looks to address the musculoskeletal system through evaluation and correction of movement dysfunction. He utilizes diversified and flexion distraction adjusting techniques to address joint dysfunction as well as myofascial release and instrument assisted soft tissue mobilisation to affect muscular imbalance. Dr. Sunyak is dedicated to continuous learning and is always implementing new strategies to best benefit his patients. Dr. Sunyak currently lives in Washington, DC and is often found trying new restaurants and food. In his free time he can be found wandering the woods and camping during the warmer months and snowboarding in the winter.